Silicon Carbide is expected to see average annual growth rates of more than 20% in the next five years. China is the largest producer and exporter of silicon carbide in the world, according to a recent report available from Research and Markets, with capacity reaching 2.2 million tons (more than 80% of the global total). However, excessive capacity expansion and oversupply led to capacity utilization of less than 50%. In 2015, silicon carbide output in China totaled 1.02 million tons, with a capacity utilization rate of only 46.4%. Total output was estimated to be about 1.05 million tons in 2016, with a capacity utilization rate of 47.7%. Since China’s silicon carbide export quota was abolished, the country’s silicon carbide export volume grew rapidly during 2013-2014 and tended to stabilize during 2015-2016. In 2016, China’s silicon carbide exports came to 321,500 tons, up 2.1% over 2015. During that time, Ningxia’s export volume amounted to 111,900 tons, accounting for 34.9% of the total exports and acting as a main silicon carbide exporter in China. As China’s silicon carbide products are mainly low-end preliminarily processed products with moderate added value, the average price gap between export and import is enormous. In 2016, China’s silicon carbide exports had an average price of $0.90/kg, less than a quarter of the import average price ($4.30/kg). In 2015, the global silicon carbide substrate market size reached about $111 million, while the size of the silicon carbide power devices sector reached about $175 million. Both segments are expected to see average annual growth rates of more than 20% in the next five years. At present, China has succeeded in research and development for semiconductor silicon carbide, realizing mass production of 2-, 3-, 4- and 6-in. silicon carbide monocrystalline substrates, silicon carbide epitaxial wafers, and silicon carbide components. Research and Markets has announced the addition of the "Advanced Ceramics Market - Forecasts from 2016 to 2021" report to their offering. Advanced Ceramics Market is projected to grow to US$104.854 billion by 2021, from US$63.112 billion in 2015, at a compound annual growth rate of 8.83%. 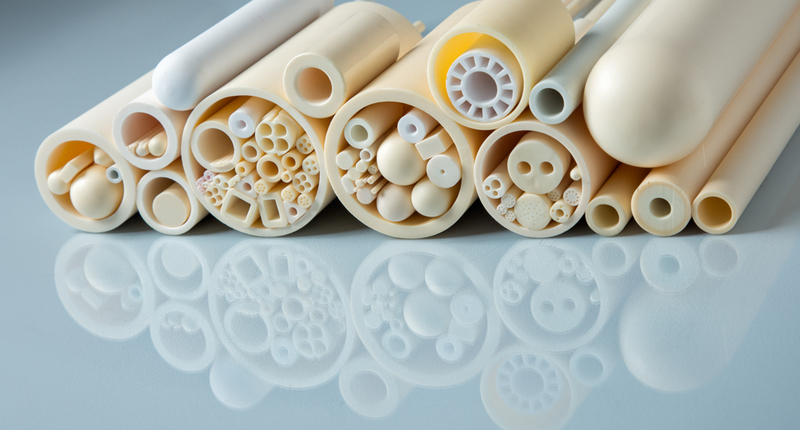 Advanced ceramics are manufactured to overcome the limitations of the traditional ceramics and to cater the requirements of several industries that depend on the unique properties of technical ceramics. Advanced ceramics have a number of positive properties that include corrosion resistance, high temperature stability and toughness. Increasing demand in applications such as energy efficiency, ballistics protection, environmental protection, among others are expected to fuel the market growth. Another factor positively impacting growth is increasing electronic device demand among consumers particularly in emerging economies of Asia Pacific including India and China. Increasing R&D expenditure to comply with growing demand from new applications is also expected to boost the market growth over the forecast period. However, the advanced ceramics market faces many limitations such as component cost, consistent material properties, environmental impact and collection of long term data in finding applications in broader military and commercial use. High demand for these ceramics in emerging markets such as India and China is projected to make APAC one of the fastest-growth markets. APAC also held the largest market share owing to favorable investment policies, and government initiatives to promote industrial growth. Key industry players profiled as part of this section are LSP Ceramics, CeramTec, Elan Technology, Oerlikon Surface Solutions, Or tech Incorporated, Morgan Advanced Materials, CoorsTek, Kyocera Industrial Ceramics Corporation among others.